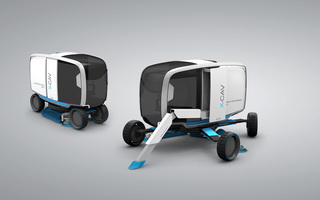 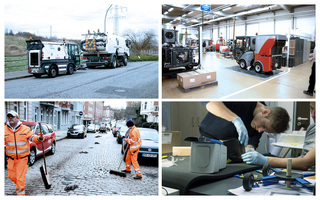 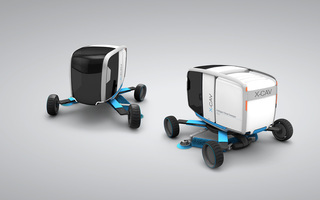 The X-CAV street sweeper does the job of several machines of different sizes. 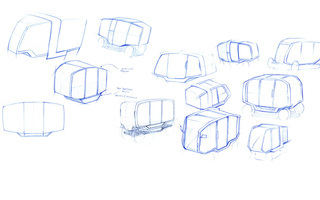 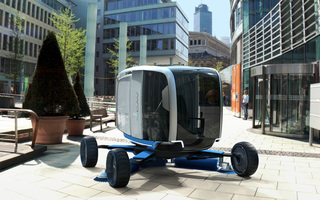 To adapt to any street, the undercarriage extends to more than twice its width (from 140 to 300cm). 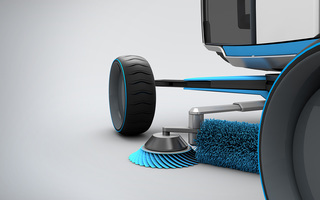 The combination of horizontal and vertical brushes ensures the best coverage at the kerb as well as under the sweeper itself. 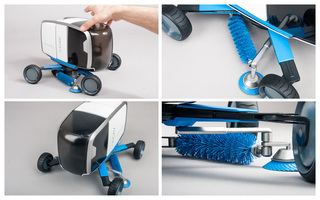 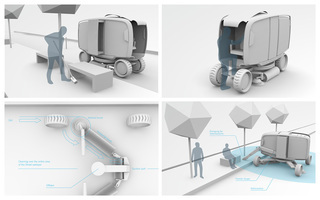 Another innovation is an extendable vacuum arm for detailed cleaning of tight spaces, between cars, for example, or under park benches.